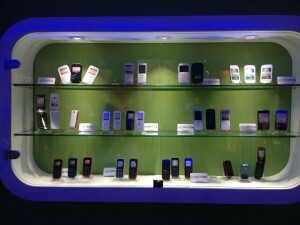 Mobile World Congress is an exhibition and conference of the world’s mobile industry. 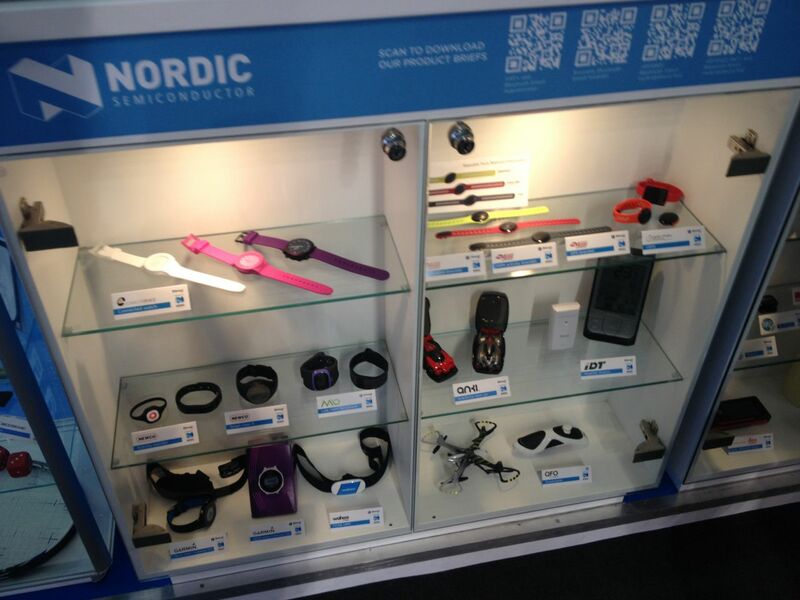 Exhibitors include operators, device and infrastructure manufacturers. In the last few years mobile app, web and associated services have also been represented as well as a surprising number of Kickstarter projects. 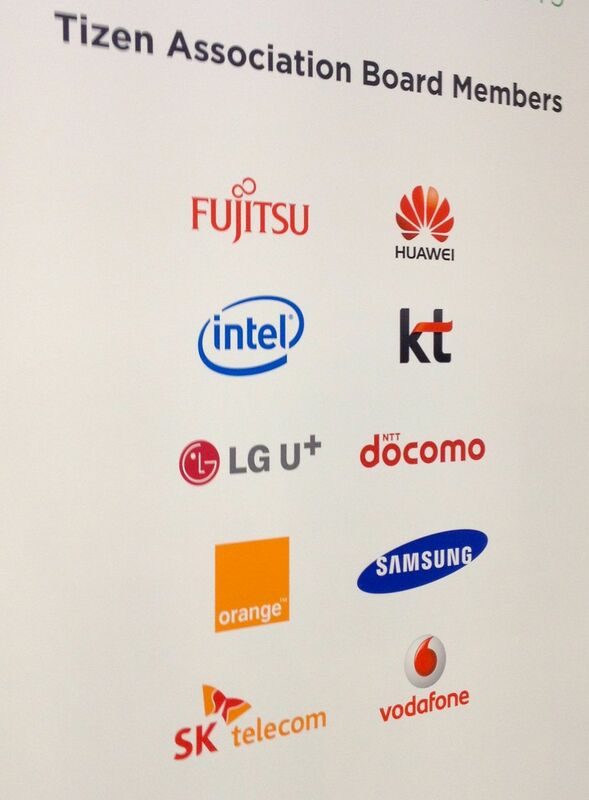 Everyone doing something even remotely connected to the mobile industry is there. If you can pick it up, it’s mobile. It is a vast event. This year an estimated 85,000 visitors and over 1700 exhibitors filled the 400,000m2 exhibition space in the Fira de Barcelona. This summary barely scratches the surface but will hopefully give you an idea of the sheer volume of products, services and technologies that the mobile industry has stimulated. All the top end devices now have amazing screens. 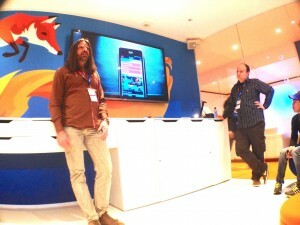 Bright, vibrant colours, wide viewing angle, amazing resolution (Samsung tablets with 2560×1600 WQXGA displays were demonstrated). So they have to find other differentiators. 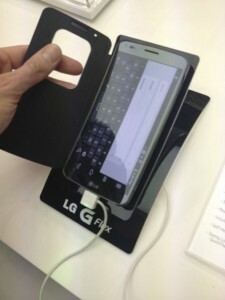 The LG G Flex has a (slightly) curved screen which according to them is a much more natural way to view. Several devices also had holes in their covers to allow information such as the time to be displayed while the device is not in use. Samsung in conjunction with Trustonic have finally cracked the problem of security on Android devices with their Knox product. This provides a secure element in the device that can be used to securely store credentials. Finally things like DRM are going to be made much easier as well as enabling the user to load their credit card onto a device – no more trusting a retailer’s PIN pad, your phone will be the PIN pad. Trustonic also have a solution for adding pre-authorised “cheques” to a device so you can make payments even when offline. 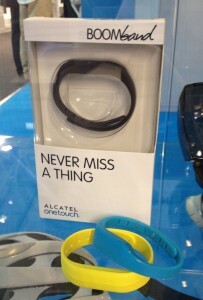 The Alcatel OneTouch Hero has an LED cover that can display notifications while the device is off. It also comes with a Bluetooth ‘buddy’ phone that you can use in the vicinity of the main device if you find it too bulky to cart around. 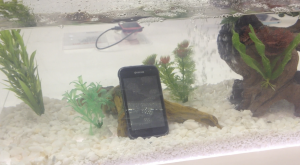 Waterproof phones were quite common. Sony and Kyocera both had pretty displays of phones in fishtanks and fountains. Oddly no one opted for a reconstruction of the most likely real world immersion event – a toilet. Nokia were showcasing their budget Asha range. 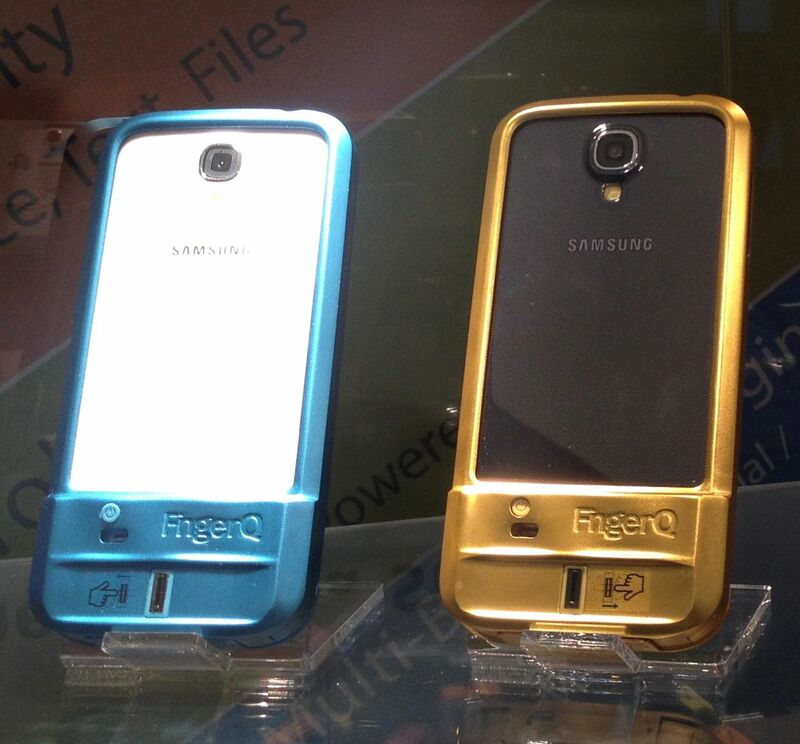 These are aimed at the emerging markets; Africa, India, South East Asia and South America. 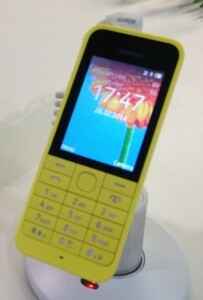 The yellow device with the 5-point nav (Asha 220) and no touch screen will be available for €29 while the green device will be of the order of €49 (Asha 230). They have WiFi and Bluetooth 3 but not GPS. 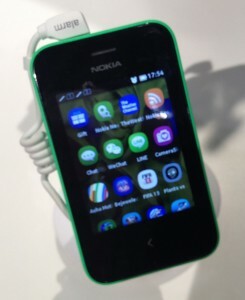 Both devices are limited to 2G data connections (GPRS/EDGE) and use the Nokia Xpress browser, so pages are rendered on an intermediate proxy and compressed before transmission. It turns out that being miserly with data could actually be a big deal – apart from the lower data rates, individual phone subscribers in India are mostly all on prepay tariffs where you pay by the byte. 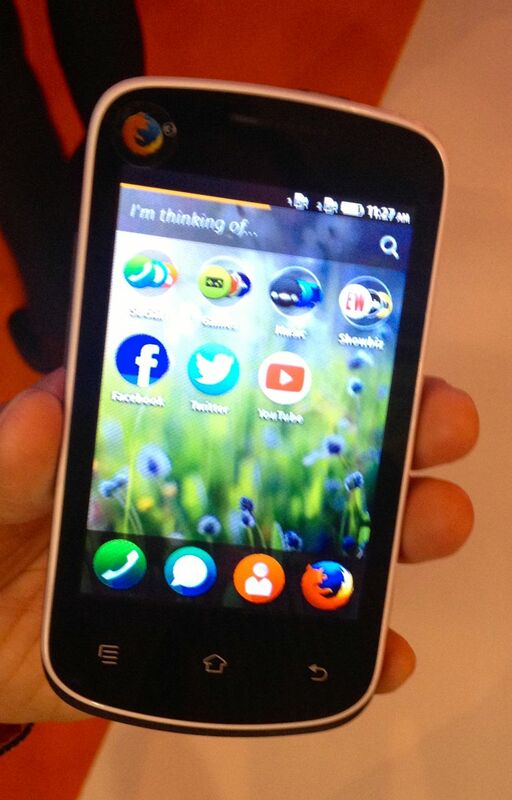 Similarly, the new ZTE Open II FireFoxOS phone will be ‘competitively priced’. 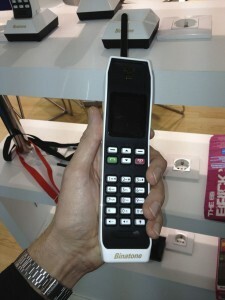 This device has GPS and 3G data capability. And just in case you thought the days of the feature phone were over, Alcatel had a whole stack of bright, shiny new ones on display. 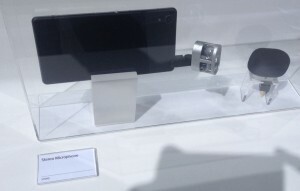 The Sony Xperia Z2 can also record 4K video. 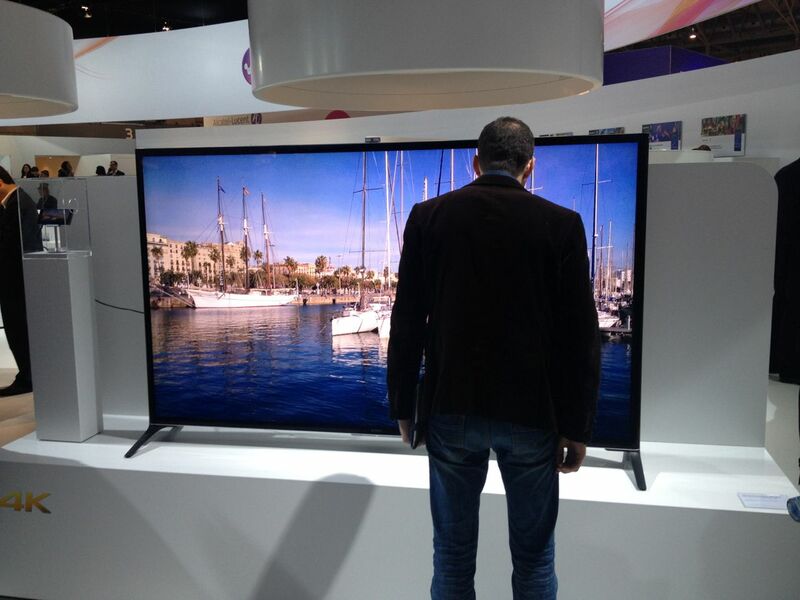 Here’s a picture of a man standing transfixed in front of a 4K television. What’s really amazing is that the display is being driven by the phone on the left via its MHL port. 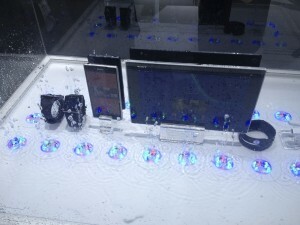 There were a few devices that weren’t as they first appeared. 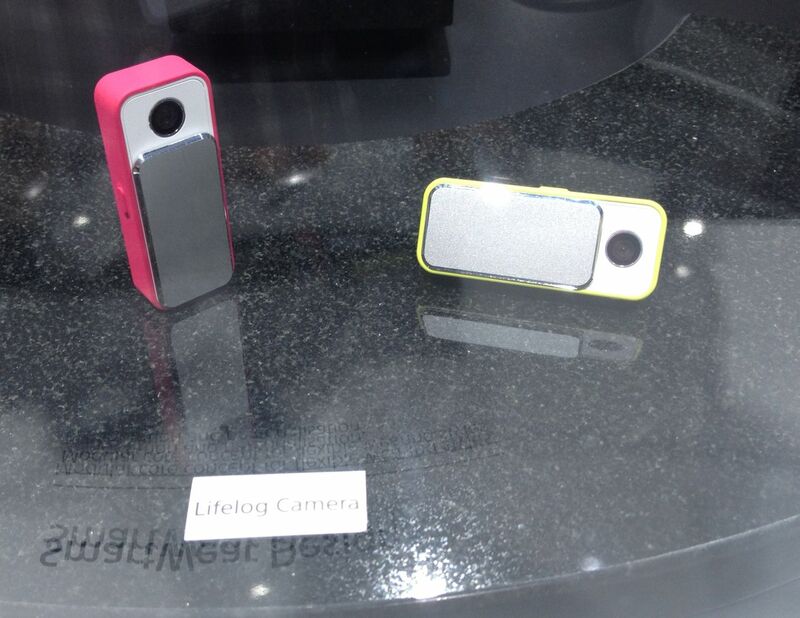 This Samsung camera phone is more camera than phone. Silicon Image, supplier of video connectivity solutions, were showcasing Acer’s Extend concept device that turns a smartphone into a laptop. 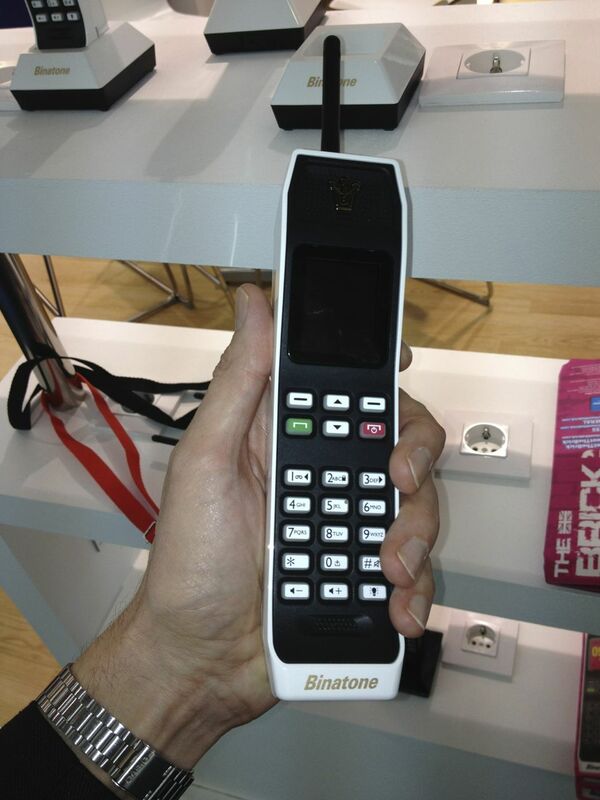 The phone plugs in to the accessory via USB/MHL and you now have an external keyboard and large screen. This is aimed at developing markets where the primary computing device is a mobile and a separate PC would be prohibitively expensive. 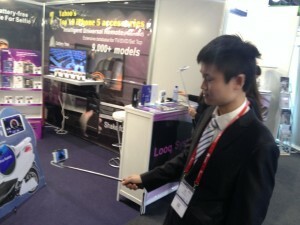 Several manufacturers were selling optical image stabilisation (OIS) solutions and devices with them integrated. These use special camera modules with the lens mounted on magnetic coils. The phone’s motion sensors detect vibrations and the lens is moved to compensate for the motion. Asus and Lenovo had phone cameras with improved low light performance. Not sure if they have better sensors or are combining the output of neighbouring pixels to increase the light sensitive area. 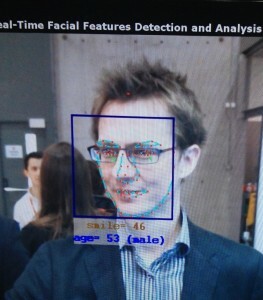 Qualcomm were demonstrating an improvement to current zoom facility on mobile cameras. These currently simply enlarge a portion of the image with produces a zoomed-but-fuzzy image. Their new solution uses two cameras, one wide angle and one narrow angle mounted side by side and then some maths to interpolate between the two and achieve an optical zoom with no moving parts. 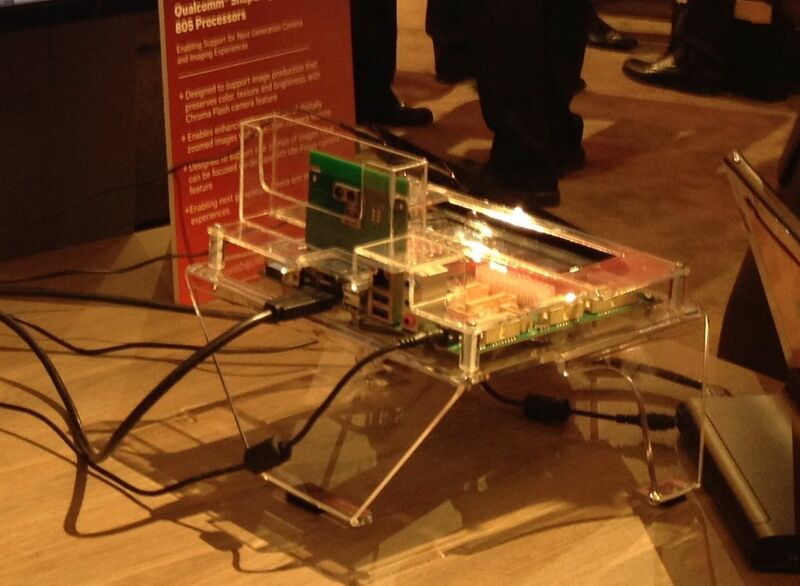 It was made in conjunction with Core Photonics and was another showcase for the Qualcomm Snapdragon processor. 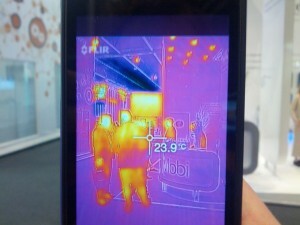 There’s a picture of the demo below – the cameras are on the green board. Unfortunately I had to use the digital zoom on my iPhone so it’s barely visible. If you ever needed convincing of the futility of attempting server-side device detection then the sheer number of OEM manufacturers should do it. 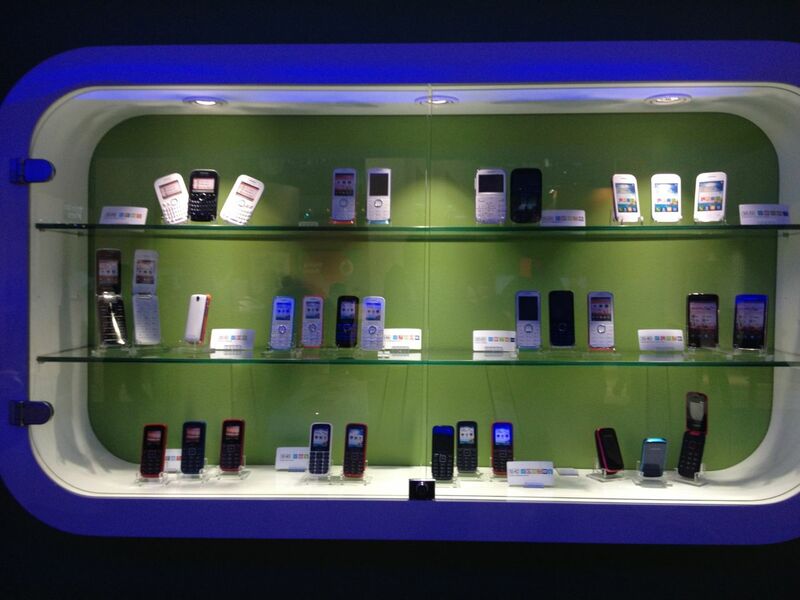 Hundreds of unbranded devices available for you to badge up and resell. Recognise any of these manufacturers? 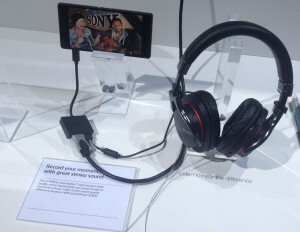 ZXD Mobile, HOTT, Yuntab? 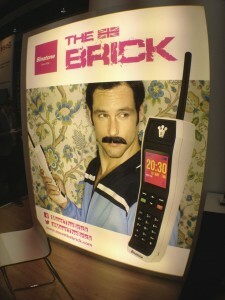 What must have started out as a pub conversation but somehow became a reality is the Binatone Brick phone. It’s an honest to goodness 2G mobile phone in an 80s style. 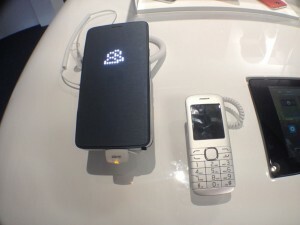 It boasts an enviable 14 hour talktime and over a month on standby. It has a Bluetooth speaker and an LED torch and can clearly be used as a weapon if you ever find yourself in a tight spot. The number of wearables is overwhelming. It seems like every manufacturer has had a go at making one or in some cases several. 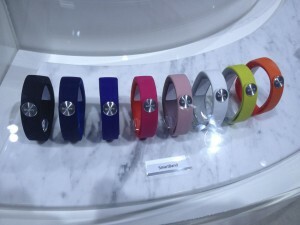 They range from the simple activity trackers that have a limited or no interface and rely on connection to a smartphone for control, to complete stand alone devices. All of them use Bluetooth Smart/Bluetooth 4/Bluetooth Low Energy for communication which allows extended operating times between charges. The Qualcomm Toq smartwatch is available in the US but is basically a reference design for other manufacturers. 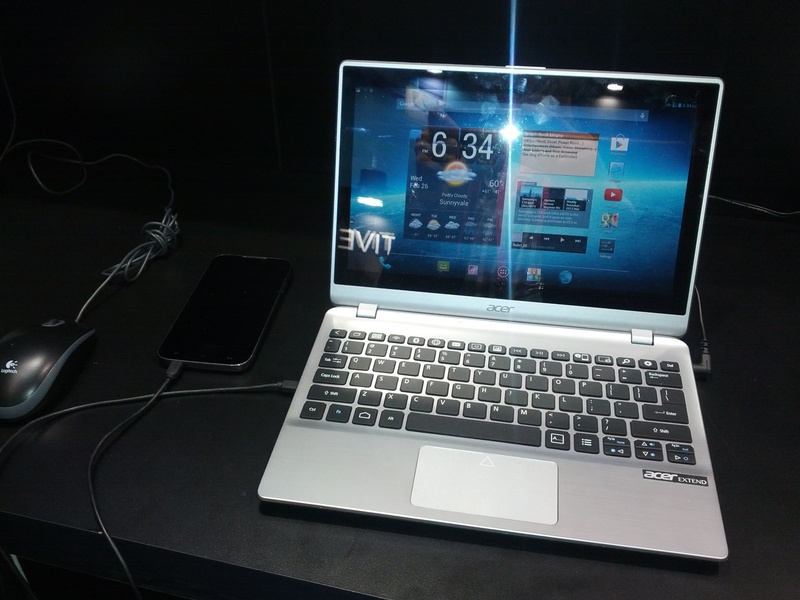 It has fairly low CPU power, instead relying on an app on your phone to do any network access and processing. 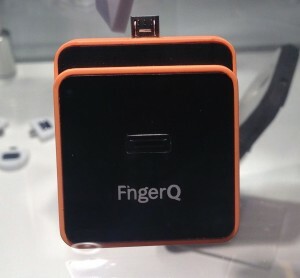 It’s essentially a remote screen for your phone. 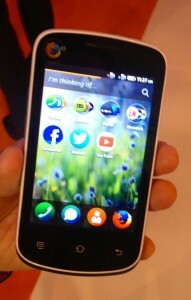 One nice feature is the reflective colour Mirasol screen. The colours aren’t as bright and saturated as a conventional screen, but as it doesn’t need a backlight it reduces the power consumption of the device considerably. It’s also always on so you can still glance at the time without having to press any buttons. 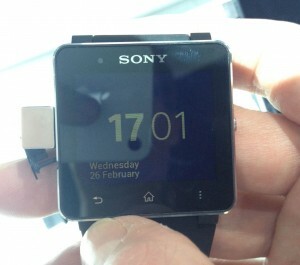 It has a wireless charger so the watch can be completely sealed. Qualcomm estimate it can run for up to 7 days between charges. Samsung launched the Gear Fit, Gear 2 and Gear 2 Neo smartwatches. 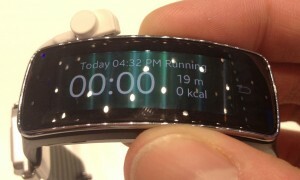 The Gear Fit is a curved device with a colour OLED screen. 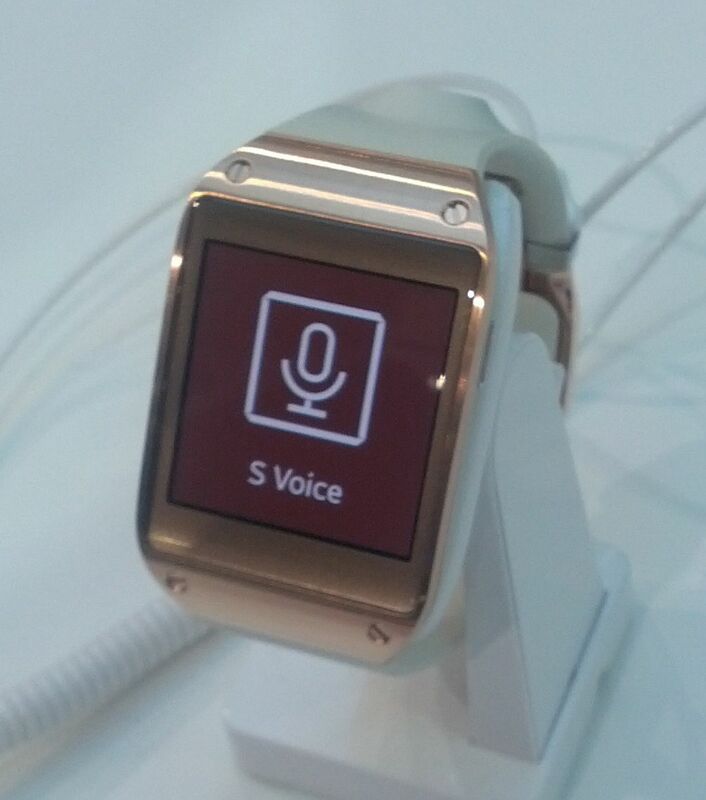 The Gear 2 and Gear 2 Neo devices are more watch-like. All three have optical heart rate sensors on the back to add additional data to for the fitness apps. 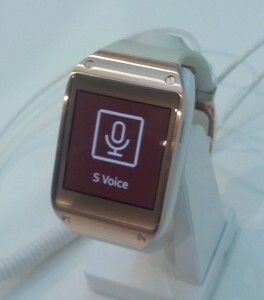 They all integrate with the Samsung Galaxy range of phones so the user can initiate calls, receive texts and control media playback. 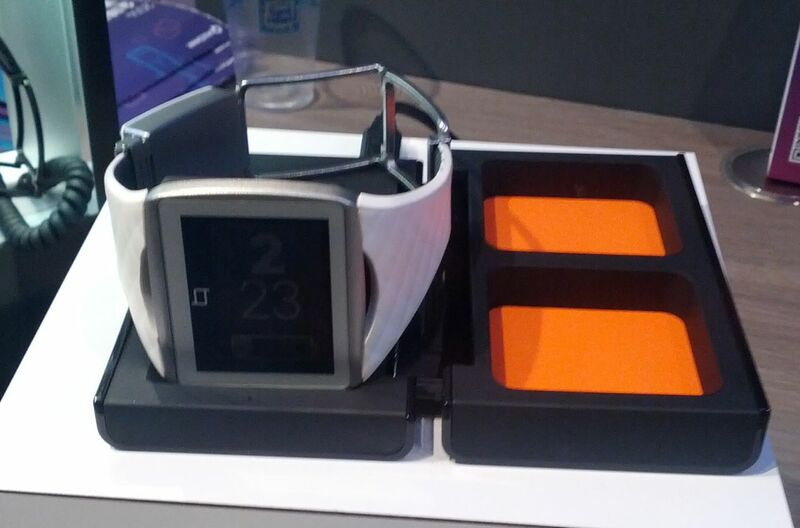 The Gear 2 and Gear 2 Neo all run the Tizen operating system. 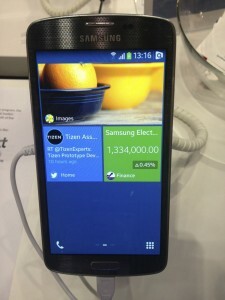 Tizen is a Linux based OS managed by a consortium of manufacturers. 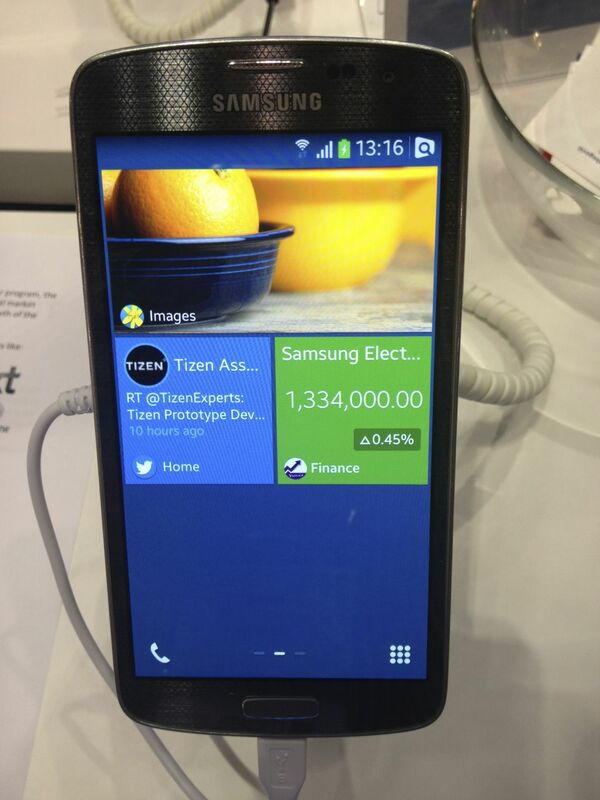 Some devices running Tizen do exist but I’m unsure of the numbers involved. 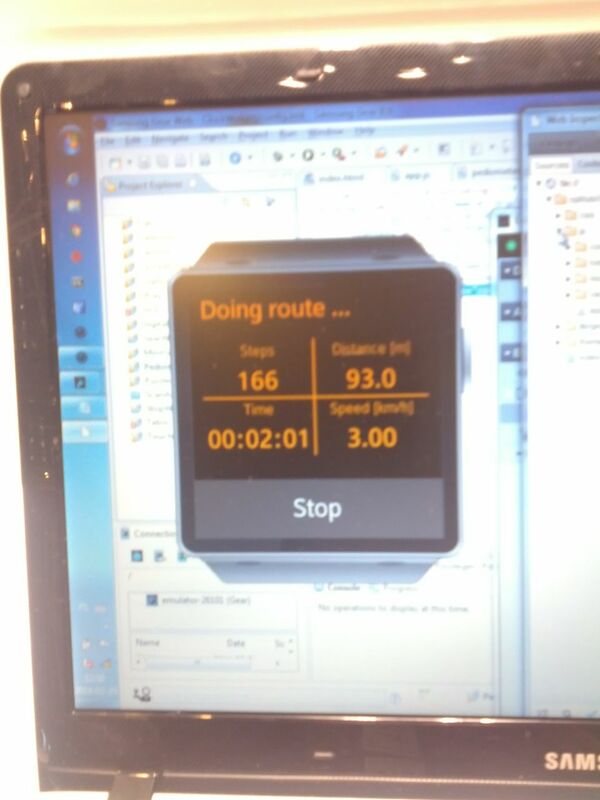 There are two ways to develop Tizen apps – either natively in C and C++ or as a HTML5 app. 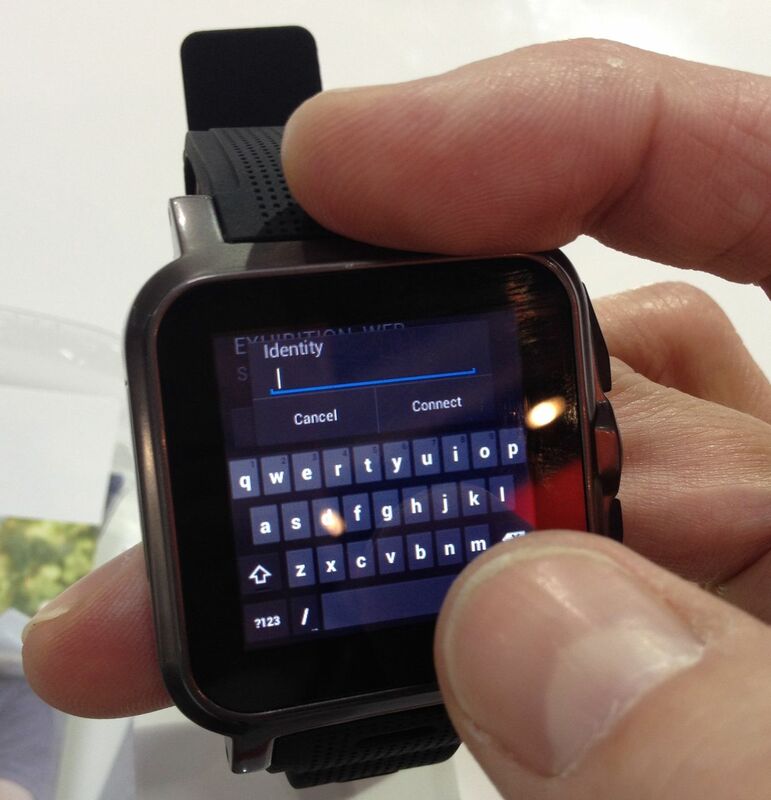 In the case of the Gear 2 smartwatch range, all the apps are HTML5. The SDK is available and integrates with Eclipse. There’s also a Gear emulator, or you can debug directly on the device. Omate Android powered smartwatch. 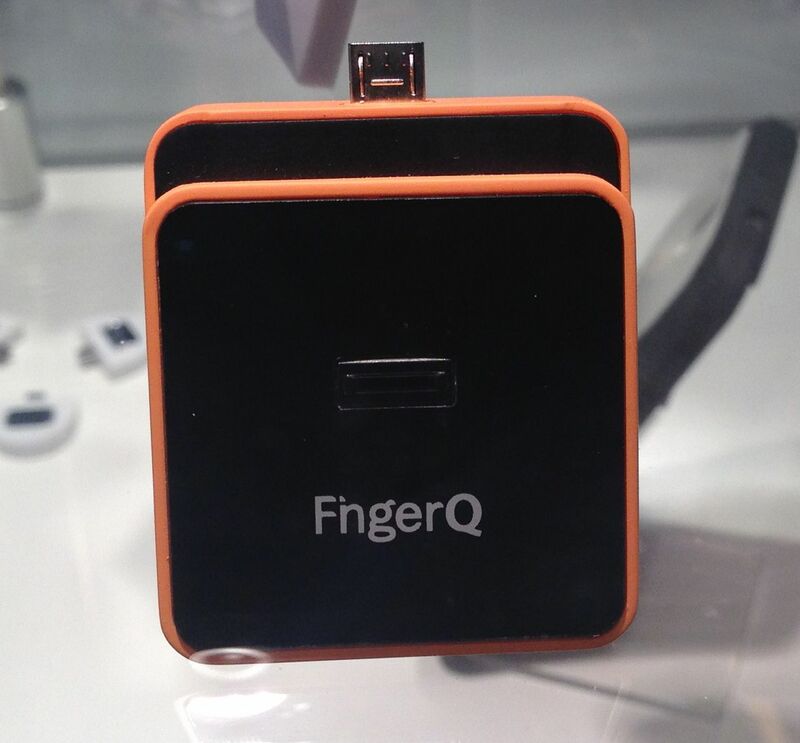 Bluetooth, WiFi, GPS and 3G in one waterproof package from $250. They don’t have Google Play but they do have their own appstore. I wouldn’t like to have to write an email on that soft keyboard though. In fact it’s so easy to shove one of these chips in to your product that there were at least two pretenders to the Google Glass throne, the Weon and Fun’iki. Both of these are glasses frames have an integrated notification LED and a function to find them if you lose them (this latter functionality is out of the box with Bluetooth Smart). 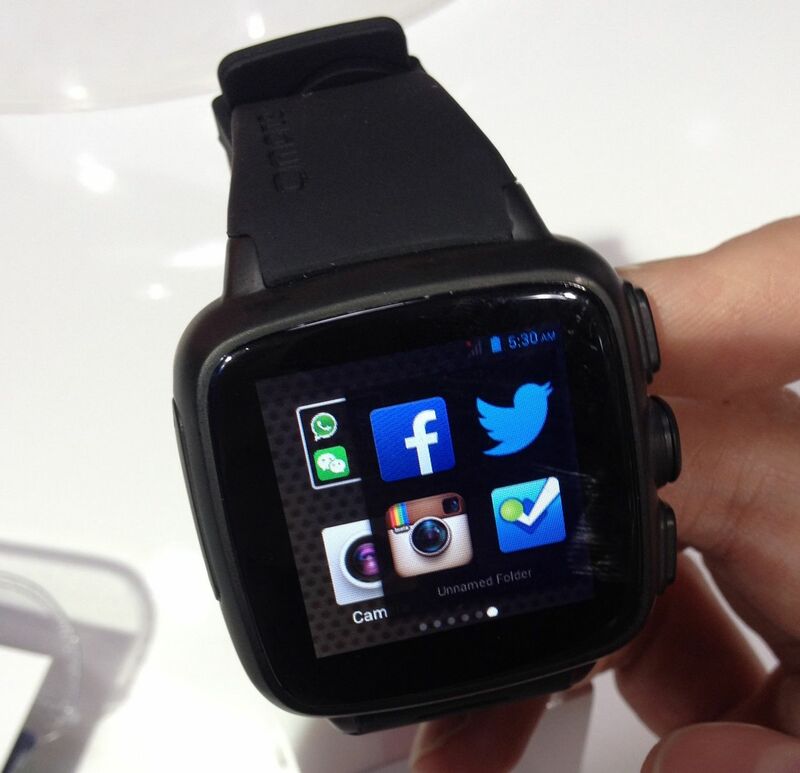 The Fun’iki also has an accelerometer so it can double as an activity monitor. 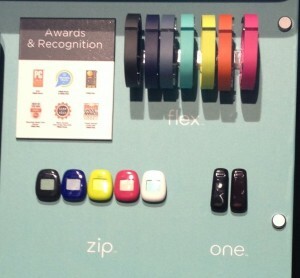 Fitbit didn’t have any new devices at the show but they do have good brand awareness. I think it’s all going to come down to who’s got the best marketers. 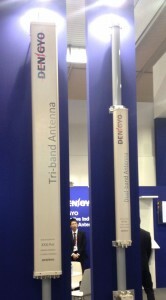 There were only a couple of exhibitors pushing iBeacons. These are short range Bluetooth radios that can be placed in premises and cause Android and iOS apps to wake up and do something. This could be a great addition to the Time Out card experience where the app reminds you of offers when you enter a bar or restaurant, as well as providing useful data on user behaviour. 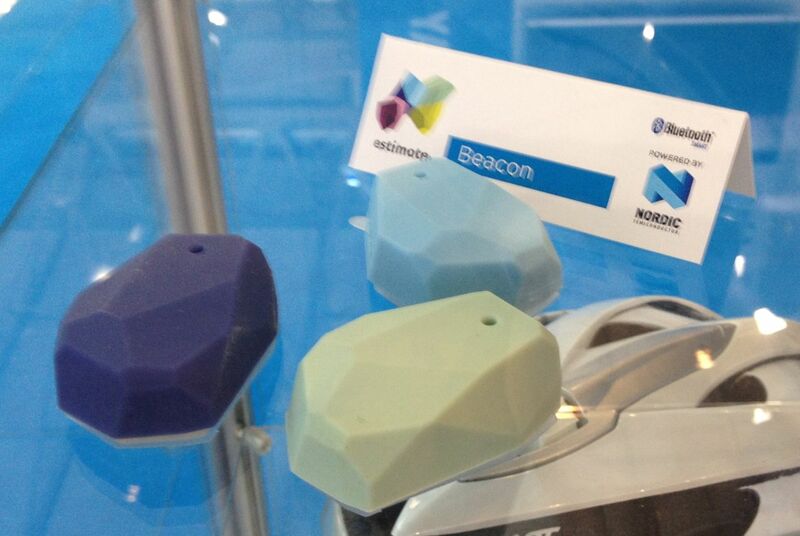 Companies that supply this technology include Estimote and Urban Airship. Apart from lots of conventional ad networks, there were also a few more innovative solutions. NEC had an image recognition solution called Gaziru so instead of scanning a QR code on an advert you can just scan the advert itself and let some nifty image processing do the rest. This also works on video too and, if the demo video is to be believed, real life objects. So far QR codes have been quite underwhelming in their ability to engage users, but as it’s much easier to scan a whole picture than a tiny barcode (and also people may feel less self conscious) this method might take off. 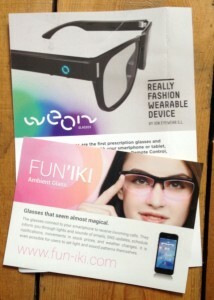 Augmented reality advertising was featured from Qualcomm. Their Vufoira product allows anyone to create augmented reality objects that can be viewed through a mobile app. It’s available for Android, iOS and Unity. The demo from Made.com allowed you to see how items from their furniture range would fit in your space by displaying the objects as actual size. Lego have also used the technology to bring their catalogs to life with animated views of the constructed kits. 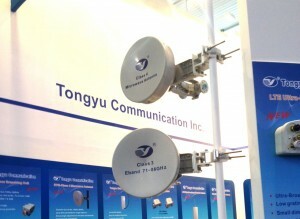 Like the NEC advertising solution, Vuforia can work from standard images and doesn’t need special symbols to be printed. This could be very interesting for companies that have existing print businesses but also an innovative digital capability, for instance. Catchoom also have a similar solution. 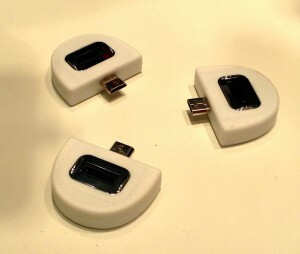 The super low power requirement of Bluetooth Smart as well as existing wireless technologies such as Zigbee and Z-Wave has enabled everything that used to be connected with a wire to now be made wireless. 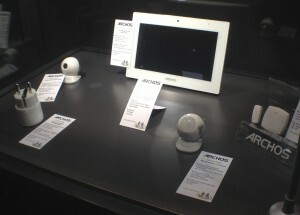 There were lots of home security products – cameras, window and door sensors, IR sensors. And of course each provider has an app to control them. Most of these devices don’t have much more than an on/off switch so in order for ordinary humans to connect them via WiFi Securifi have produced the Almond+ router. 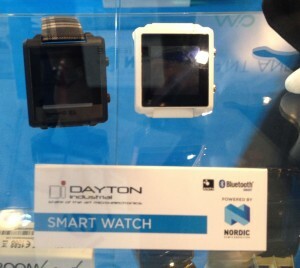 It has a touch screen so no need to navigate to a setup web page. It has built in support for Zigbee and Z-Wave peripherals and one touch setup to make it behave as a wireless AP or range extender. Anyone who’s ever had to set up a relative’s WiFi for them will love this. OralB had a Bluetooth connected toothbrush which does seem a little excessive, but who am I to stand in the way of progress? Apptentive have an iOS and Android SDK for prompting app users for feedback and soliciting reviews to try and counter the standard user response of only leaving reviews when they’re angry. The text of the surveys and the behaviour that invokes them can be entirely remote controlled so you don’t have to release the app each time you want to change something. Most new devices have the option to be charged wirelessly. 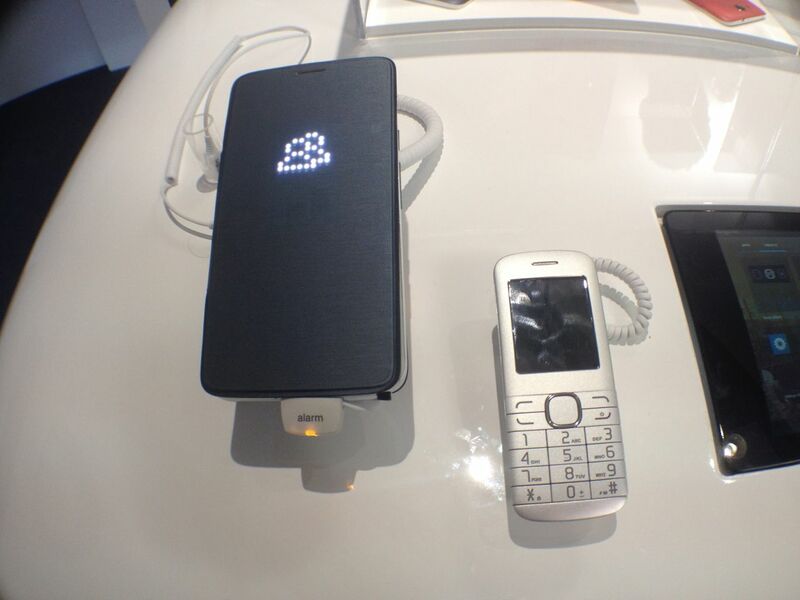 The wireless charging standard ‘qi‘ (pronounced ‘chee’) is becoming the de facto standard. The aim is for wireless charging points to be available as standard in cars, restaurants and cafes (eg embedded in tables). So you’ll be recharging your device throughout the day rather than having to leave the house with all the charge you need for the day. 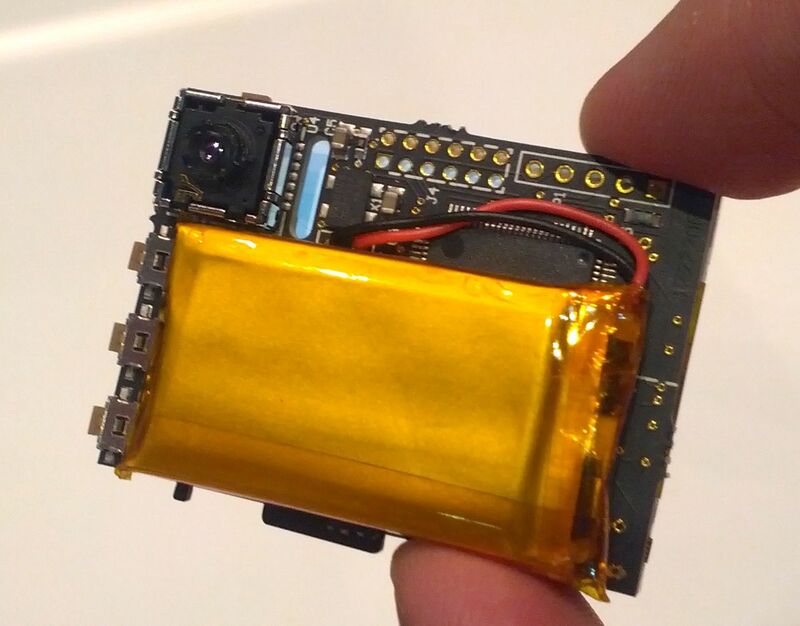 This will allow devices to have smaller batteries as well as reducing damage to batteries by subjecting them to daily deep discharge / full recharge cycles. 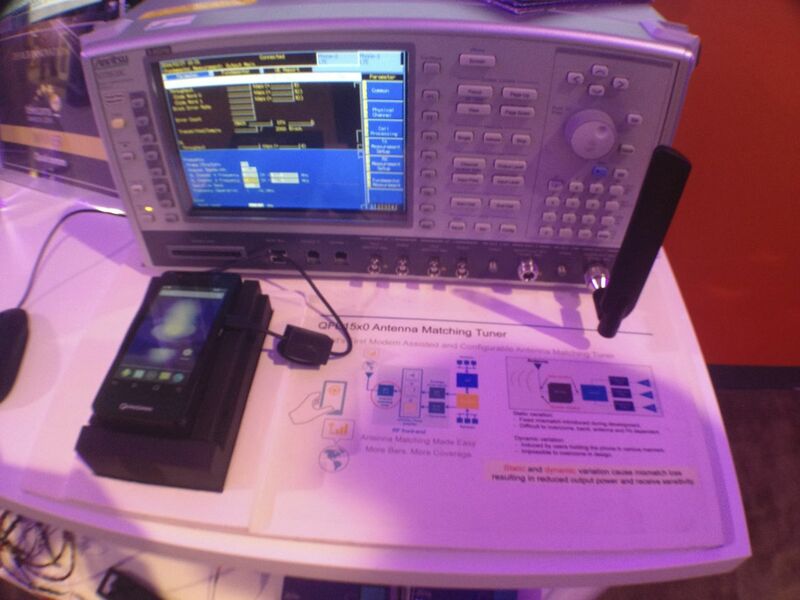 NXP were pushing NFC chipsets but there weren’t a lot of stand alone NFC applications. 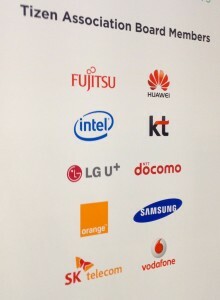 A few companies were using NFC cards as either secure storage of credentials (www.safekeepcard.com) or as a token to unlock your phone (www.dreamonline.co.jp). But these were basically apps making use of existing properties of MiFare NFC cards. More interesting applications were using NFC to ‘bootstrap’ other connections. For example, you can transfer pictures from Samsung cameras to phones by tapping the two together. 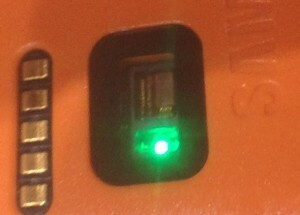 The initial NFC interaction exchanges network settings, then the file transfer is completed over WiFi. HERE, formerly Navteq, is a Nokia business providing mapping services and visualisations. They mentioned the possibility of hoovering up Time Out’s content and adding it to their maps (they already take feeds from Tripadvisor and Qype) which might drive traffic, or it might just dilute the brand. Fraunhofer and ARM were demonstrating face detection software to automatically measure characteristics of faces such as mood, gender and, in a spectacularly unsuccessful demonstration, age. 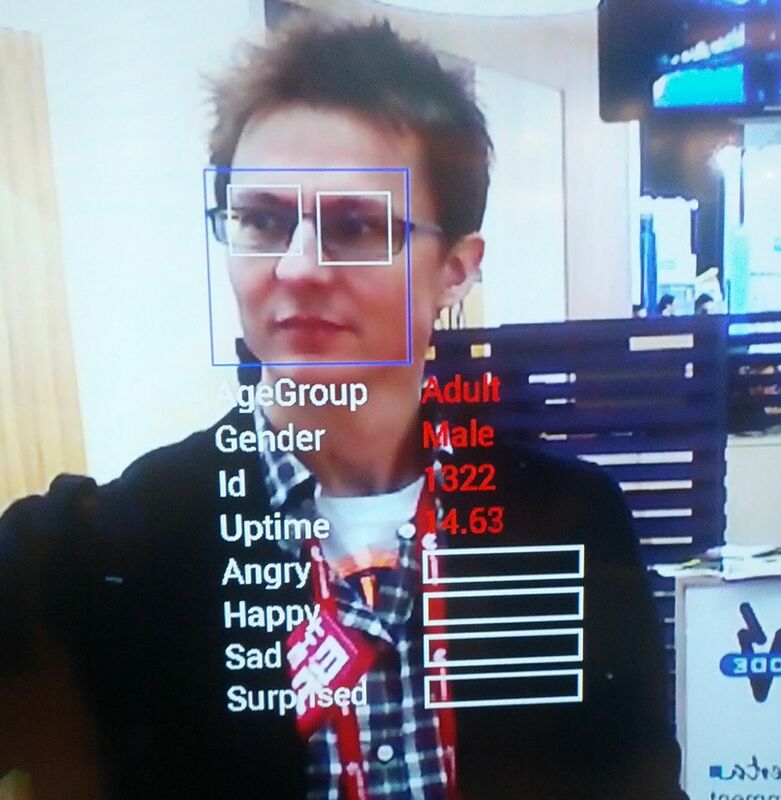 The use case here is that your set top box can provide automatic feedback about people’s reaction to programmes and their demographic information. Also your mobile could keep an eye on your mood an alert the relevant health services if you’ve been looking gloomy for an extended period of time. Infrared camera vendor FLIR had a great phone accessory allowing you to see in the dark. The salesman told me that this would be useful if you were in a car park at night and wanted to make sure no one was lurking in the shadows waiting to mug you. I say it’s also useful if you’re lurking in the shadows waiting for someone to mug. 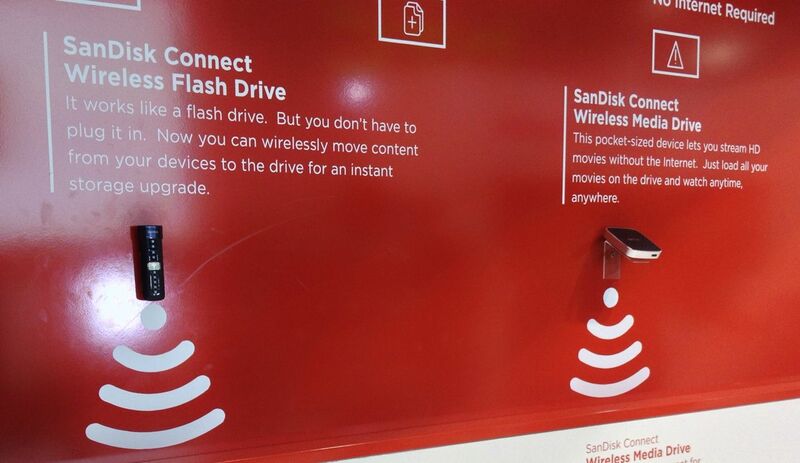 SanDisk were trying to find more ways to sell you SD cards. As well as developing a 128GB micro SD card, they also have wireless memory sticks, so you can set up a fileserver in the car or train etc. and have up to 4 people streaming music and video from it. Whereas many of the innovations at MWC had competition between several manufacturers, Looq were the only one I found offering this selfie accessory. It has a remote shutter trigger in the handle so you can capture that perfect selfie even if you have short arms. They’re sitting on a gold mine. SAP are planning to spoil the game of football by providing training analysis solutions to teams. No idea how this is mobile but hey. 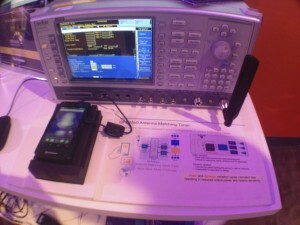 If you fancy setting up your own mobile network then all the bits are here. Antennas, power amps, backhaul microwave links. 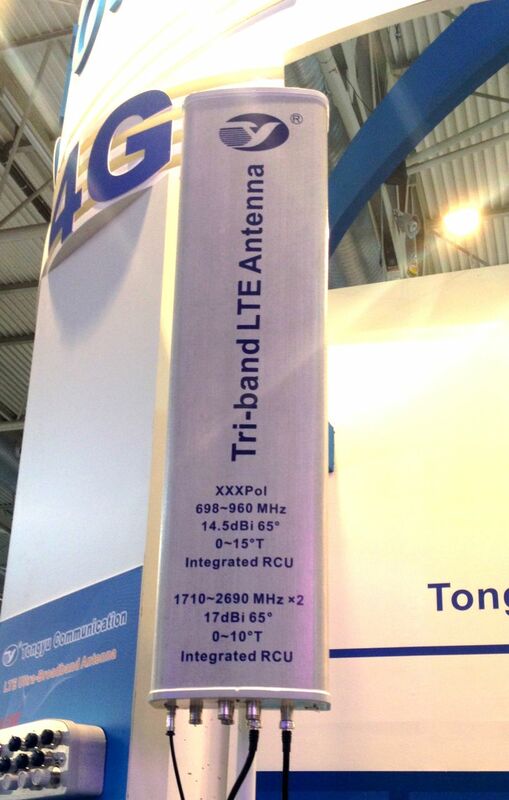 Turns out there’s a whole little business in enabling a single base station to serve a whole building by having multiple low power antennas on each floor. Who knew? Radiation prevention – (www.safetel.biz) remote GSM device that you can connect to via Bluetooth to a) protect you from the full power of a GSM signal and b) let you site the remote device in an area of good reception if you’re in a borderline area.